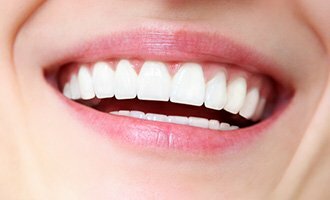 Optimum oral health for you and your entire family begins right here in our Massapequa dental office with our general dentistry services. 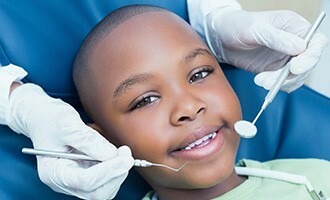 However, treatments such as routine dental exams and oral hygiene visits are just the beginning. Using microscope enhanced dentistry and ViziLite oral cancer detection, Dr. Dory and Dr. Khalida Stutman will provide you with the most thorough general dental examination that you've ever received, giving us the opportunity to catch most of your potential dental problems while they are still small and easy to treat. Even if you brush and floss your teeth every day, you can still benefit from two professional dental cleanings and checkups each year. Why? Because, your teeth are rather complicated structures with many, many hard to reach surfaces. You probably miss portions of them every time you clean your teeth simply because your brush and floss aren’t able to reach them. With our skilled hygienists and specialized tools, we’ll help close the gaps in your home routine. South Shore Dental Care is happy to take care of your entire family under one roof, and that includes your littlest smiles. Our team is highly-experienced with treating children, and we have the services, patience, and gentle touch they need to ensure they get a beautiful smile and have a great time while they do it. With our expert care and your help at home, we can make sure that your child has a gorgeous smile that will stay strong as they grow and develop. Do you have a child at home who is still learning to brush their teeth? If so, it’s likely that they aren’t cleaning their back teeth very well because they can be very hard for small children to reach. To give them a little bit of extra protection right where they need it, we can give them something called a dental sealant. For this, we’ll apply a clear, thin layer of a plastic-based substance directly to their teeth (likely just the back ones), and this will prevent plaque and food particles from gathering on them, effectively protecting your child from tooth decay and cavities. Many children (and adults!) don’t get the daily recommended amount of fluoride in their diet, and this is often because they drink mostly bottled water, which isn’t fluoridated like tap water. Fluoride is essential for keeping the teeth strong and preventing tooth decay and cavities, and it’s especially important for children while their teeth are developing. We can help you and everyone in your family get the fluoride they need by providing fluoride supplements. 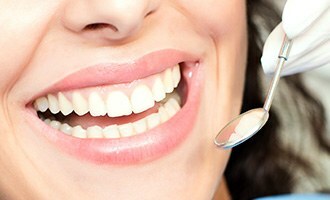 These small pills will add strengthening minerals to the teeth, helping protect them for years to come. The TMJ, or temporomandibular joint, refers to the small hinges that connect your lower jaw to your head and allow it to move freely whenever you speak, eat, laugh, or yawn. Like other joints in the body, it can sometimes become strained or injured, leading to chronic problems such as a painful or stiff jaw, frequent headaches, and even teeth grinding. The team at South Shore Dental Care is trained to diagnose and treat these kinds of problems, so if any of the symptoms we’ve just mentioned sound familiar, we can help you! Bruxism is a condition where a person unconsciously clenches their jaw and grinds their teeth at night. This puts a tremendous amount of pressure on the teeth, and it can eventually cause them to fracture and break! Fortunately, we can help control this sneaky condition using something called a nightguard. It is a small, custom-made mouthguard that provides a protective barrier between the teeth. A patient only needs to wear it to bed each night, and it will fit comfortably over the teeth because it will be made just for them. After a few nights, most patients don’t even realize they are wearing it when they go to sleep. 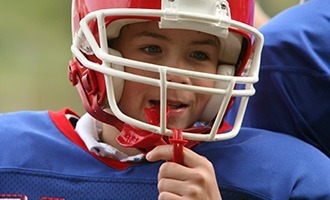 When you or your child go to play sports, you want to make sure everything is protected. What often gets forgotten, however, is the teeth. Nearly 40% of all sports injuries are actually dental injuries, and that percentage is even higher for children! To make sure everyone’s smile is safe on the field, mat, or court, our practice can provide custom-made athletic mouthguards. These will be much more comfortable than anything you can buy off of store shelves, and they’ll do a much better job of protecting the teeth because they are made specifically for each patient. One of the most common oral health problems facing adults today is gum disease. With periodontal therapy, Drs. Dory and Khalida Stutman can help halt the progress of gum disease before it leads to even bigger complications. Beyond leading to irritated gums and tooth loss, untreated gum disease can also cause problems in the rest of the body. The latest research has shown that health issues such as stroke, heart disease, Alzheimer's disease, and complications with diabetes and pregnancy all have a strong connection with gum disease. 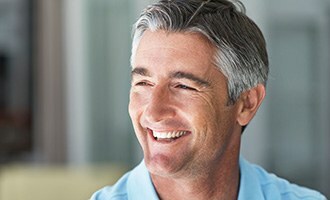 All of this means that a general dentistry service like periodontal therapy can help you improve more than just your oral health—it can help you support your overall health, too. Oral cancer is another fairly common problem affecting patients, with the ADA estimating that nearly 50,000 people are diagnosed with the disease every year. Most instances are found in patients who use tobacco or drink alcohol excessively, but in 25% of cases, the patient has none of these risk factors at all. What's more, only half of patients diagnosed will survive more than five years. That's why early detection of oral cancer is so important. 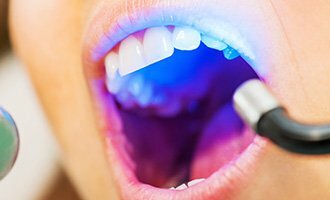 At South Shore Dental Care, Dr. Dory and Dr. Khalida Stutman use a revolutionary tool called ViziLite to detect and diagnose oral cancer. With ViziLite, it's possible to make earlier diagnoses when it may be difficult to detect oral cancer with the naked eye alone. All it takes is just two preventive appointments each year to keep you and your family smiling. To schedule an appointment, please contact us today.